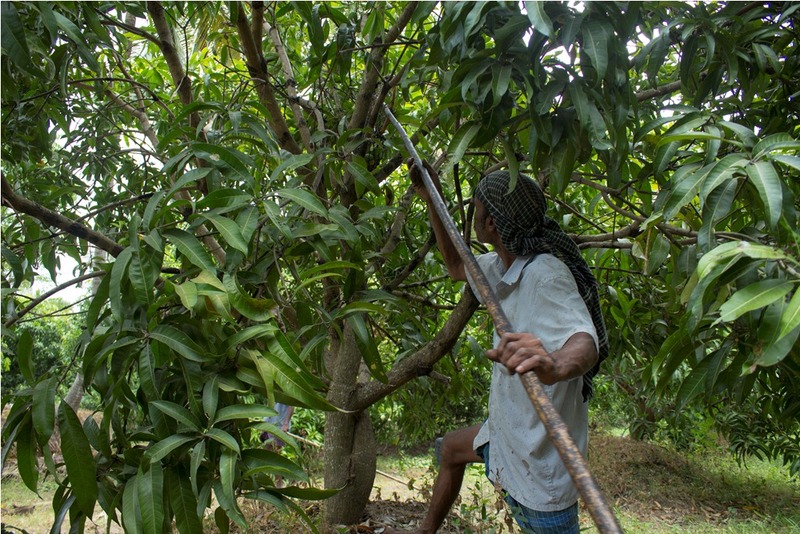 Farmers in Muthalamada, near Palakkad, say they’re the first stop on the mango supply route. Muthalamada is about 27 kilometres from Palakkad and if you walk six kilometres ahead, you are across the border in Govindapuram, Tamil Nadu. 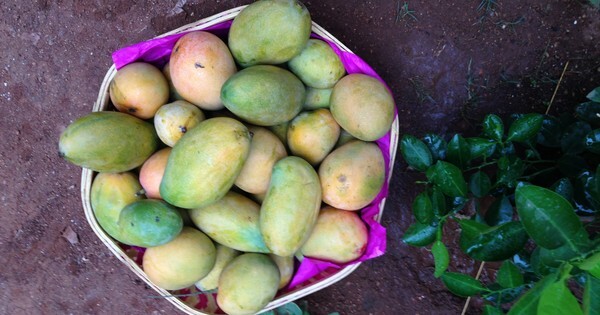 Mango orchards take up 4,500 hectares of land here and the town exports Rs 200 crore-worth of varietals a year. 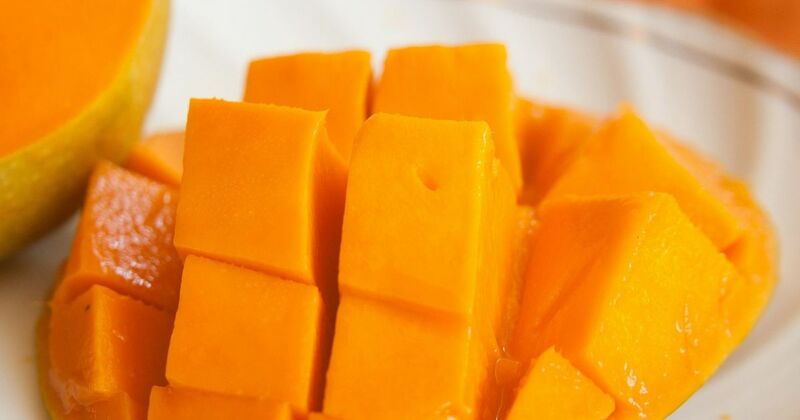 “Mangoes are either exported to Gulf countries or Europe, or trucked to Delhi, Mumbai, Gujarat, Rajasthan, Uttar Pradesh and Haryana,” Vijayan said. It grows local varieties such as priyor (a less fibrous, juicy fruit that’s the first to flood the markets in Kerala); neelam (a fibrous, firm and juicy mango that goes for days without perishing); chandrakaaran (a small fragrant fruit that is either sucked or used to cook with); and moovandan (a pest-resistant mango used for the first pickle in the south). 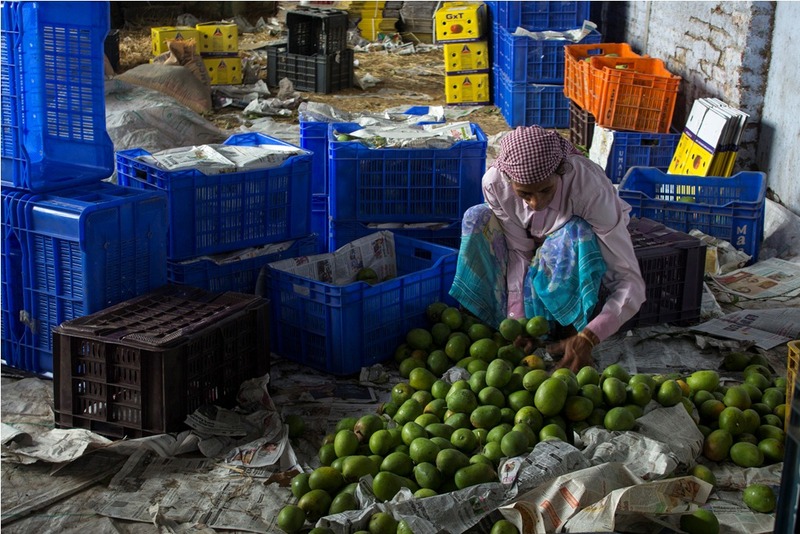 For the North Indian market, Muthalamada grows varietals such as alphonso, totapuri, malgova and banganapalli. 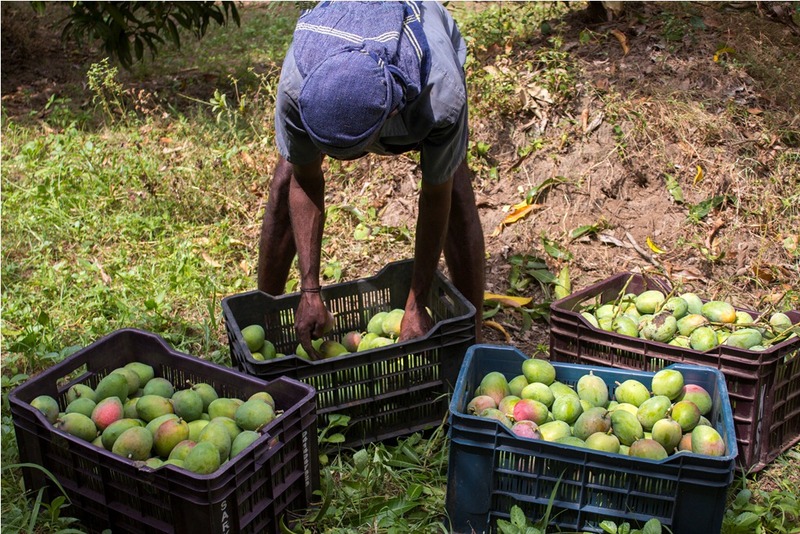 India’s close competitors in the market for mangoes are Peru and Venezuela, but Muthalamada’s harvest is ready as early in February – which, according to the farmers, is ahead of everywhere else. In February, farmers in Kerala blocked 20 check-posts on the Kerala-Tamil Nadu border after the latter did not release the promised water. This was followed by Kerala Chief Minister Pinarayi Vijayan asking Tamil Nadu to stick to the agreement. “Government rules prohibit using paddy growing land to cultivate cash crops,” Balakrishna said. “But when there’s no water to grow rice, we can’t just leave the land fallow, can we? Because Muthalamada generates revenue, we can apply for land conversion. 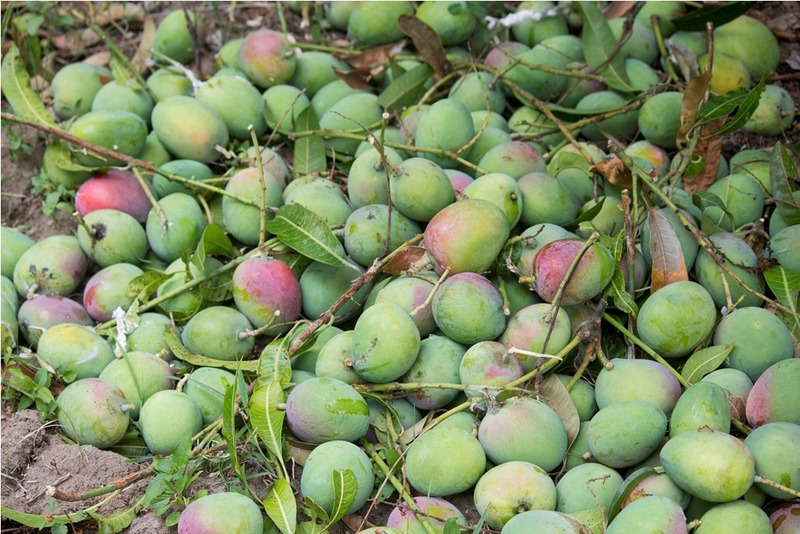 It’s at the collector’s discretion.” Which is what most farmers here have opted to do in order to be able to grow mangoes. This picturesque, scenic town, where mango trees line the streets and tower over the skyline, is home this time of year to pluckers, sorters and packers from around the country. Sayyad Abdul Aziz, from Bengalur, has been coming here for the last 20 years – “I supply to mandis and wholesale places such as Mumbai and Delhi. 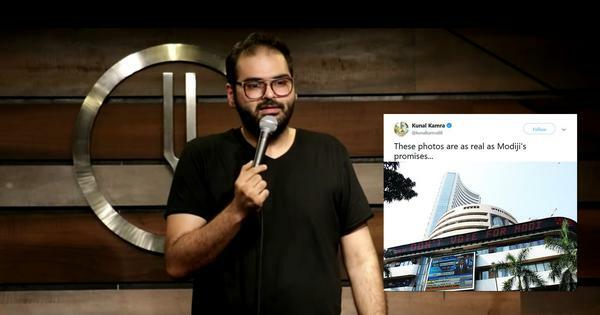 Come April, we’ll all move to Tamil Nadu where the mangoes will start ripening; then on to Vijayawada, Guntur and Warangal in Andhra Pradesh. By June, we’ll go to Bihar and Uttar Pradesh when dusseri, langra and chausa will be ready. That’s where the season will end in late July.” Abdul has been trucking six tonnes of mangoes a day from Muthalamada for the last 10 days. Chithra watches the mangoes being packed, loaded and the trucks leaving. “Most people don’t know this but the key to ripening mangoes at home is this: wrap it in paper or just lay them out in a rice box or flour box for a couple of days,” she said. “Mangoes need dryness to ripen. Never leave them out in the open where they can get spoilt by humidity.” she said.